1. Begin writing with no outline whatsoever. 3. 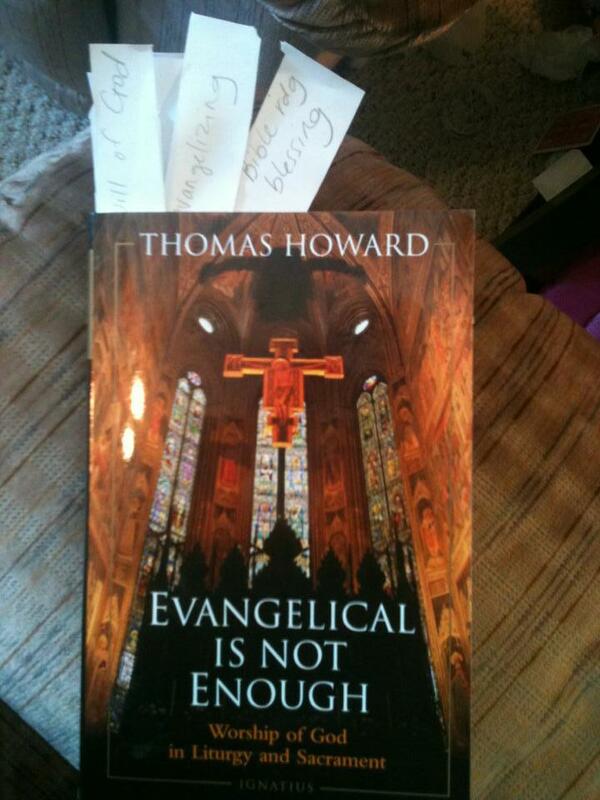 Forget to cite the quotations as you write the book. 5. Read through dozens of old journals to find that that one entry about that one experience when you were 12. 6. Wait until the end to come up with a title. 7. Do absolutely no market research ahead of time. 8. Make 4:00 AM your writing hour. 9. Make 7:00 PM (aka the kids’ TV time) your second writing hour when you failed to get up for the first one. 10. Check Facebook 10 times during your writing hour. 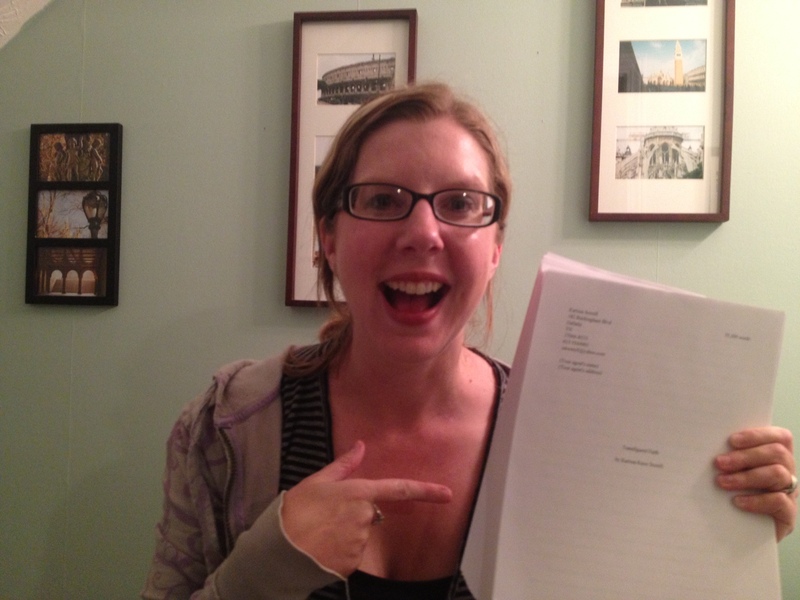 Despite doing it all wrong, I have to tell ya: I FINISHED THE FIRST DRAFT!! Draft printed!! Thanks to everyone for all your title suggestions. I went with a suggestion from my friend Marianne Robbins. 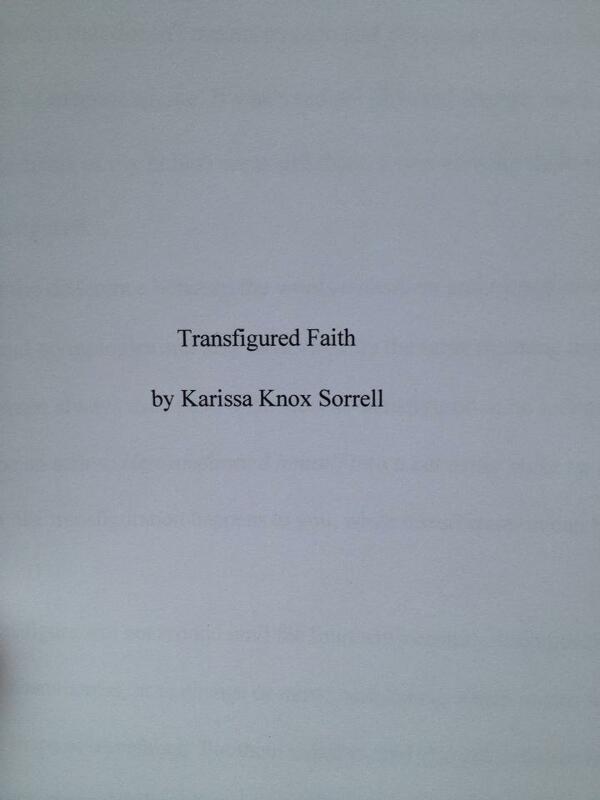 Transfigured Faith seemed to be the best “hat” for my book. Look how thick this sucker is! 183 pages. Can’t believe I wrote all that. Now, on to revising. Which I have a feeling will be harder than the first draft. But for today (or maybe for a few days, who knows), I’m gonna let myself celebrate! This is me freaking out. Woo Hoo!! You are my hero! You are my hero, too! I can’t wait to talk to you about it and especially to read it. YOU GO GIRL! There’s no ONE WAY to write a book, Karissa. Look at you go, girl! I’m so proud of you and can’t wait to read your book. 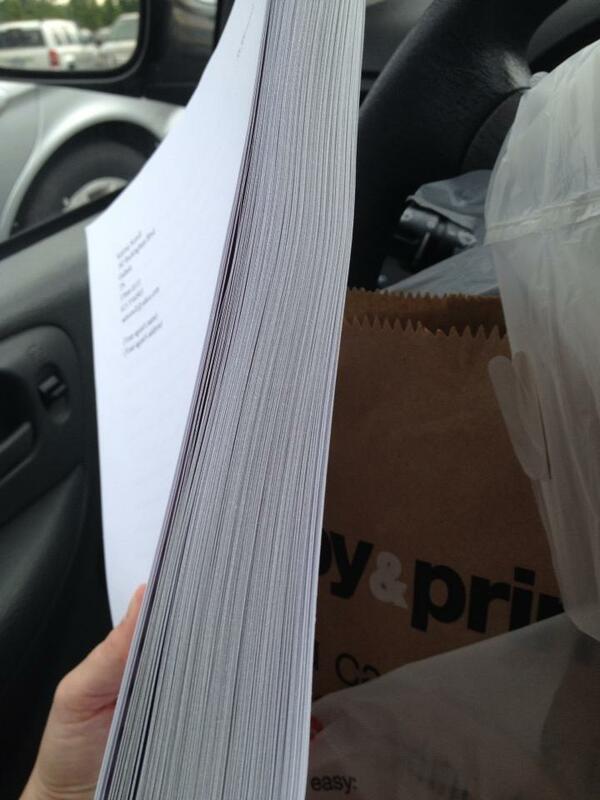 And yes, the revision/rewriting process could be longer than the original draft process, but oh, so rewarding. Take a deep breath, celebrate your achievement, and keep going! You can make your life easier (especially if you are not congenitally organized) by investing in the computer program “Scrivener” which will keep your footnotes and post-its handy; page numbers where certain words appear, and an automatic indexing function. You can even keep a file of stuff you’ve copied from other books for reference. Read about this program, get familiar with what it can do, and your second book (or even revision of your first one, fed into it) will be a whole lot less hassle and save you a lot of lost time groping around for stuff you have misplaced. ACtually, I have Scrivener. I just don’t know how to use it very well!